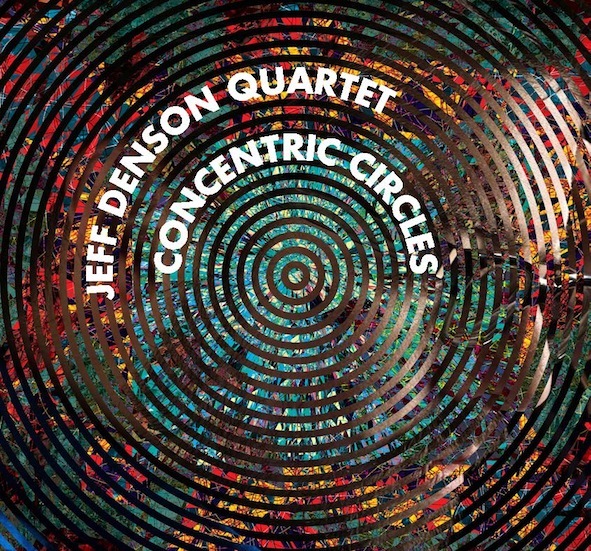 “Concentric Circles” is the second album of the trio led by bassist, Jeff Denson. 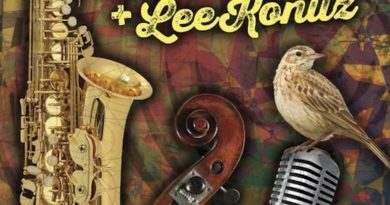 On their first album, Lee Konitz was invited as a featured guest, resulting in a tour de force projecting this living legend onto American jazz history. The noteworthy point of this second album is the invitation extended to bassoonist Paul Hanson. At every turn, his warm bass and long phrasing enhances the lyricism of the album. 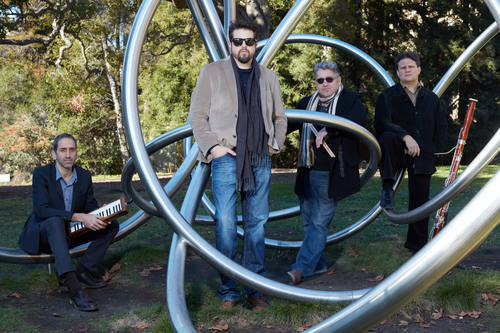 From among the wide-ranging compositions from progressive, swing, and ballads, to tango essence, the slow tracks are exceptionally touching, and their performance compels the listener to unintentionally pause their life. Again, the penetrating power of Jeff’s vocals is outstanding (Tracks 4 and 8); regardless of the instrument, natural feeling of warmth casts a broad veil. The parts with a strong double melody line are the finest passages (Tracks 3 and 8). This trio group is as tight as an impregnable fortress, and witty exchanges between the piano and drum and sound pressure control, and the brilliant perspective of the double bass traversing between exhilarating flexibility and a cradle full of meaning are all true to their reputation. The whole album is full of ups and downs as if representing life’s journey, and mutual scenes are organically strung out. In this sense, it is truly a matter of “Concentric Circles” and it is an album that downloading individual pieces and listening will not suit. The final piece played with a bass solo is a paean to the touch of life, and tinged with the sadness found especially in modern times where the joys and sorrows of everyday life have been lost; it lingers on unforgettable in the listener’s heart.